Today I present two murals painted in 2015 for the Art BGC festival, in Bonifacio Global City (BGC), Manila, both on C1 Building on 5th Avenue. 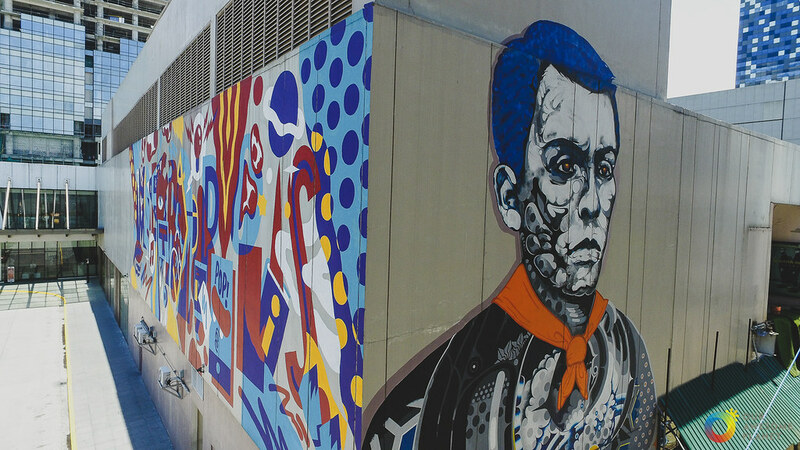 The main one entitled "Pop Art" by AKA Corleone, a Portuguese artist that I've shown here before, and the other entitled "Andres" by Doppel, a Japanese artist, which honours Andres Bonifacio for which this city is named after. He was the Father of the Philippine Revolution against Spain and is considered a National hero. Andres mural wasn't easy to photograph as it was in a narrow passage between buildings, but I've included a photo I found online where it can be perfectly seen, obviously taken from higher up. I've also found this short video of the mural being painted, which is fascinating to watch. Very beautiful and very colourful. Thank you Sandee. Have a lovely week too. ...a grand and colorful mural, thanks for hosting! You might have managed to enter it in the meantime, as it's above. Thanks Mae. Very colourful. Murals aren't always obliging in their was to photograph, but your shots show us the scale of the work. 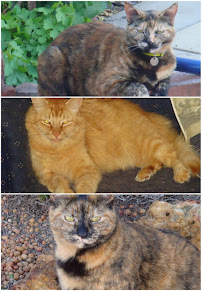 Thanks Debbie, yes not always easy to photograph. Indeed it is interesting to see how such a mural is painted. Gosto especialmente do mural intitulado "Pop Art", um género de que sou fan. They make big murals there, nice find. True,all the murals I found in BGC were huge. Thanks Marianne. Look and you wil find. Another fine example of a mural in a part of the world not many of us will see. Um belo mural, gostei e aproveito para desejar uma boa semana. I like it! Bright and happy! Both murals are beautiful. The Andres piece was lovely, and I can see how hard it must have been to capture. Thanks Elizabeth I quite liked the Andres mural, a pity I couldn't capture it better. Both fantastic in their own way.. that really was a narrow space Sami, tricky one! I hate it when you find a great mural along such a narrow space. I like them both, Sami! That's an interesting one though I cannot decide which part to prefer! I like the portrait more than the mural. Having realized that graffiti raises real-estate prices, attracts tourism and beautifies urban spaces, cities throughout Israel are hiring artists they once hounded"
Many illustrations, but the story might be behind a paywall. Very interesting Mae. I also find that murals seem to attract people who enjoy street art, so good on the Israeli cities from embracing it. That video is impressive to see the absolute stunning craftsmanship of such great artist! The entire view is fabulous in that city section, it blends in so well. Thank you Mariette. The video is great.